Lab suppliers interested in marketing life science solutions and university lab equipment at Atlanta life science marketing events may want to take a closer look at Emory University’s Rollins School of Public Health as a potential sales market. In 2010, the Rollins School of Public Health opened a teaching and research building named for Claudia Nance Rollins. According to a recent article in Emory Magazine, the Rollins family gave $50 million to the construction of the building and this gift was the catalyst for over $170 million given to the Rollins School of Public Health during the Emory campaign. About $90 million of that funding went towards building the new facility, which includes three floors of lab space. Lab suppliers working to market university lab equipment and life science solutions in Atlanta may be interested to know that Emory University is a very well-funded market. According to the Emory University website, researchers at Emory received $520.3 million in total research funding awards, $483.4 million in health sciences research funding awards and $350.9 million in federal research funding awards in 2012. 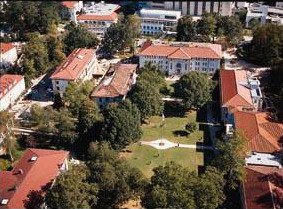 The NSF also awarded Emory University $10.6 million in research funding in 2012. That funding was given out to a number of life science projects in various departments at the university. The NSF ranked Emory University 22nd in the country in 2009 for total R&D expenditures in the life sciences, the total expenditures being $417 million. In addition to receiving a great deal of funding from the NSF, Emory University received $300.7 million from the NIH in 2012. The NIH also ranked Emory University 18th for direct plus indirect costs in the life sciences, excluding R&D contracts and ARRA awards, in 2011, with a total of $273.4 million in costs. Emory University is a great market for lab suppliers interested in marketing life science solutions and university lab equipment. If you are a lab supplier or biotechnology vendor interested in networking with researchers, lab managers and purchasing agents at Emory University, Biotechnology Calendar, Inc. invites you to attend our Atlanta BioResearch Product Faire™ Event. Biotechnology Calendar, Inc. is a full-service science research marketing and events-planning company that organizes life science marketing events at top research universities across the country. For more funding statistics on Emory University, or to learn more about our Atlanta BioResearch Product Faire™ Event, click on the button below. If you are interested in marketing your life science solutions and university lab equipment at life science marketing events closer to home, we encourage you to look into our 2013 calendar of events.